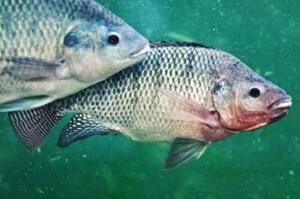 Tilapia is the fish most used in aquaponics. Most trout/salmon do not like water over 60° F at which point they begin to experience stress and become susceptible to diseases in warmer water. This means either the water must be cooled and heated each cycle, or the fish or the plants will be unhappy and not grow well. Trout/salmon are also carnivores and are grown best on animal protein. Commercial trout chow contains fish meal as the protein source and that fish meal is from ocean harvest fish, depleting the ocean fisheries. Catfish, which was our personal first choice, have a different problem. The fry or fingerlings are only available three months of the year (May, June, July) so there is no way for farm owners to consistently restock their fish tanks. Catfish grow quickly, they like warm water, they will eat almost anything, they taste good and are a hardy fish. But, stocking off season is impossible. Perch are carnivores and eat bugs, crayfish and other animals to grow. This feed is tough to get in the winter months unless you grow them inside for some other purpose. Perch food is tough to get almost any time of the year. 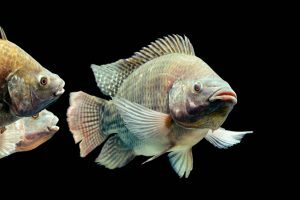 Perch taste sweet and are easy to work with but are difficult to find food for them. Most crayfish and many freshwater prawns are cannibalistic and need to live in separate ‘apartments’ built in the tanks so they don’t eat each other. They are sometimes used in the tanks with other fish to clean up the bottom of the tanks. They are very hardy, but the housing for them is a problem. That leaves the incredibly, tasty, hearty and adaptable Tilapia. They are very easy to grow, prepare, they taste great, grow quickly, and are available year round. They are herbivores and prefer plant protein and are very hardy. I am growing crayfish https://www.leaffin.com/crayfish-aquaponics/ in my small aquaponics system for forage to bass and trout kept in a pond. Amazing learning experience. Good for you! We’ve heard crayfish like short sections of PVC in aquaponics tanks to cubby inside. You might consider dropping in a few. Are Japanese Koi fish suitable for aquaponics? I realise that they are not edible but we currently have about 20 in our garden pond. Koi grow quite large and if you have a minimum 700 gallon tank, you can use koi, but we recommend 400 gallon tanks for Portable Farms and we don’t think it’s humane to put them in such a small space. Can you tell me how many fish would one want for the 1 module? Thanks. That depends on the size of the module. The Portable Farms Kits are all the same size and were designed for commercial size modules of 200 sq ft Grow Tables. The fish stocking rate is based on the size of the module. What about Bluegill or Sunfish etc. They go by many different names here in Michigan. Would they work in your aquaponics system? If you can figure out what to feed them, they are great. They eat mostly insects, crayfish and worms so you will have to accommodate their appetite. Go for it. 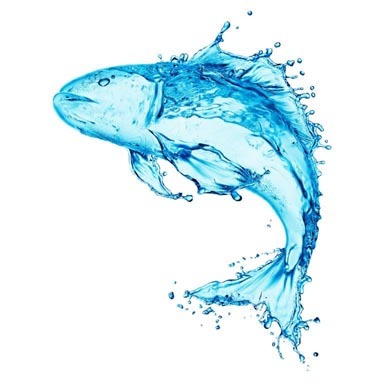 Baramundi are popular in aquaponics in the Southern Hemisphere, particularly in Australia.